Are You Thinking About Marketing Your Book Yet? Do you know when to market a book? Are you thinking about that part of the writing process yet? I asked 17 writers at the Sechelt Writers' Festival (2010) when they first thought about marketing their books. The graph at the right gives you a quick look at how they answered. I must say that I was happily surprised at the number who thought about marketing at the same time they first thought about writing. 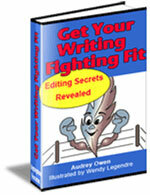 That is to say that the idea for the book and how to market it hit those writers at the same time. One writer started to think about marketing during the writing process, two after writing, and two after printing. The three who surprised me the most were the three who hadn't started to think about marketing yet, even though they were at the Writers' Festival selling their books. If you are a writer the very best time to start to think about marketing is right now! This doesn't mean that you have to have a fully developed marketing plan in place before you put pen to paper. It does mean that you should have some idea of who your audience is and how you might go about reaching that audience. Even if you hand your book to a traditional publisher, you will need to know something about the market. Otherwise, how will you know which publisher to approach? My strong suggestion is that any writer who wants to make money publishing a book -- or who just doesn't want to lose money publishing a book -- start to think about marketing as soon as possible. Learn all you can about how to market your book. Especially learn about the time lines involved in marketing. That way, when your book arrives from the printer, you can start making money right away.